The latest version update has been quite tumultuous primarily caused by the increase in level cap but new features such as Abyssea have also shaken up the way things are done. This update will not disappoint. It’s finally here, the first of three scheduled raises in the level cap. Almost every job now has a new ability to help enhance its performance. Some of the more exciting abilities are the addition of refresh to the Blue Mage job as well as their ability to now dual wield weapons. Samurai gains an ability which enhances the damage done by skill chains and their subsequent magic bursts. Black Mage now has the use of Mana Wall which shields them from damage using their mp pool. In order to facilitate the new level cap the level restrictions in the Chains of Promathia areas have been removed and new monsters have been added of the appropriate levels. Even some non-level capped zones have had monsters added, such as birds to Misareaux Coast. There are many new Notorious Monsters (NMs) in this vast new area that are spawned using a variety of methods. Some are timed spawns with no place holders, while others require a trigger item dropped off common monsters in the area. There are also zone specific bosses that are spawned using key items dropped off other NMs in the area. In addition to this there is a new line of Voidwalker NMs here involving the “Empty” family type monsters. All monsters in these zones also have certain weaknesses which are noted by pair of giant exclamation marks over their bodies. Perhaps the most innovative aspect of Abyssea is how experience parties work within. Not only is it beneficial to enter as an alliance, but they’ve also brought back the necessity of having a well balanced group of melee and mages. To get a truly successful run going, players must kill monsters with auto attacks to build up, or level, Pearl Light first for the first 45 minutes. Once chests begin dropping from monsters with greater than approximately 80% chance, players will need to switch to magic kills which give an Azure Light, and when fully leveled will drop ten minute time extensions. There are seven lights in total and once they have been maxed out, the Gold Light (acquired from opening red chests) will cap at 610 experience points per monster killed. During all this activity you will be acquiring a new currency called Cruor. With Cruor new armor sets can be bought. Both the plate and leather sets feature the popular haste attribute on them, making them very attractive sets for their jobs. The mage set, once completed, grants a bonus to Fast Cast as well as the normal properties on its pieces. 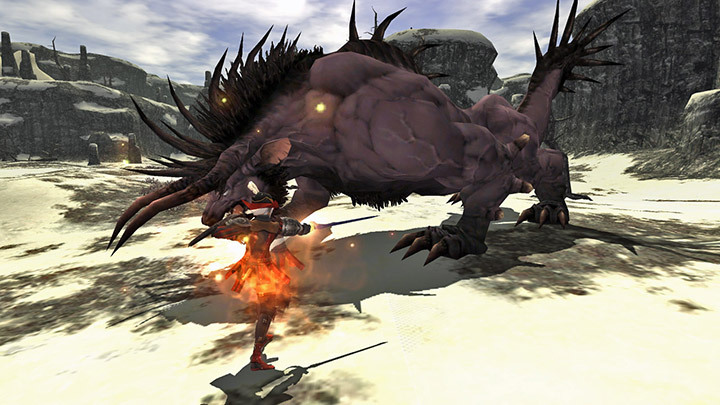 Cruor is also used to gain temporary items such as HP boost, MP boost and various stat boosts. Adventurers can also purchase temporary items that will stay with them until their timer runs out, so be sure to leave with at least 5 minutes remaining and the game will keep track of items for the next time. Stepping into the world of Atomos, adventurers will find a very utilitarian world. Currently there are seven instances, although at first only three are open to adventurers. Anyone can enter these areas and as such, players only have to keep an eye out for groups entering and they can go assist them and share in the spoils. Once inside a zone, it is scored much like Campaign is, meaning players must perform a certain amount of actions during a certain amount of time to score high enough to access the group loot pool. The top 5 scoring people will receive a chest of their own that spawns at their feet. In order to unlock the next tier up, a particular server must have beaten the prior zone in the sequence enough times. This means beat Area 1 enough times to unlock Area 4, beat Area 2 enough to unlock Area 5 and so forth. The new Voucher 09 Revitalization Team isn’t so much about winning as it is about surviving. Players begin by choosing what monster they fight from a list of 3. The runes inserted in a maze give various buffs to assist with the fight. Provided enough damage is dealt to the monster, players will then be rewarded with an experience points chest for their efforts along with a treasure chest that can contain any of the higher end drops from the level 75 gear. This includes popular sellables like Behemoth hides, Imperial Wootz Ingots and all manner of like drops. If players have CC points entering the maze, they will be rewarded with a personal treasure box with items in it as well. In order to advance to higher tiers, players must gain 5 points on their card. Beating a monster in the current tier will award them these 5 points. The third tier is where the real dangers begin: a dragon with the ability to cause instant KO every time it attacks, a Corse that casts Death and a Gnole that substantially heals itself. All of these also have access to 2hr abilities and can use them multiple times. 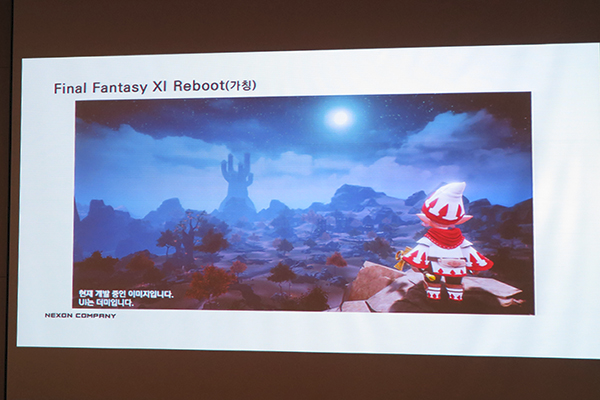 The final monster at the end is similar to the NM Ixion, which should provide a challenge for even the hardiest of adventurers. The three nation story lines have been wrapped up in this version update so be sure to see the exiting final conclusions. The forces of Windurst march onward to Castle Oztroja for a final showdown with the Yagudo. The truth behind the actions of Klara and her relations with the demons will also be revealed, and what is the reason behind the apparent resurrection of Count Aurchiat? The new Magian trials are underway for level 80 and many of them offer serious competition to previous weapons. Perhaps the most notable are the new staves with elemental augments that most players would find confusing. They are listed as “Element” damage +4, which in actual game terms means +20% more damage, making them slightly more potent than their predecessors, although a bit less accurate. A replacement for the seemingly insurmountable Hagun, the most popular weapon for Samurai, has even been found within the Magian trials of weapons. These weapons seem to be in line with a new era of ultimate weapons to follow in the paths of the Relic and Mythic ones before them. It remains yet to be seen what these weapons will eventually lead to at the end of their long journey.